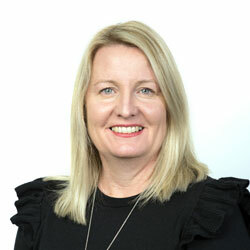 Tina is the Chief Executive Officer at Child Australia and has worked in various senior positions within the Education and Child Development sectors for more than 20 years. Tina is a strategic leader dedicated to innovation and continuous improvement and growth. Prior to working for Child Australia, Tina owned and operated her own Early Learning Services and consulted widely on best practice models throughout the Education and Care sector, Schools, and various agencies. Tina also worked extensively with children and their families in various therapy settings. Her career background has also included senior business management roles, teaching, and lecturing positions. Tina has tertiary qualifications in Business Management, Education, and most recently has completed a Masters in Mental Health Science (Child Psychology). Tina is a ferocious advocate for the education and well-being of children of all ages, and strives to nurture and support the parent – child relationship. As a mother to 2 young boys, Tina has a strong desire to help keep childhood fun, carefree and full of wonder for as long as possible. Tina is a Member of the Australian Institute of Company Directors. 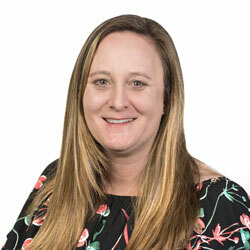 Sara has worked with Child Australia since 2006 and her executive role oversees the Service Delivery and Programs activities throughout Western Australia. She has extensive experience in the Early Childhood Sector as a Qualified Educator, Director, and National Childcare Accreditation Council Validator. Sara has international experience developing and managing play schemes and sponsored children’s services in the United Kingdom. Her professional interests lie in quality care provision and pedagogical leadership. Sara holds a Diploma in Children’s Services, Cert IV (TAA) and post graduate Qualifications in Business Leadership. Maria is a highly experienced finance manager with particular expertise in the not-for-profit and childcare sectors. 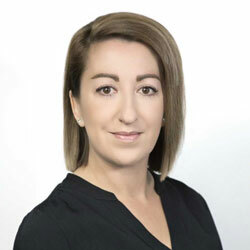 Maria’s role at Child Australia is to provide financial expertise and guidance, and is responsible for driving and administering the finance activities enabling the organisation to fulfill its mission. Maria is a qualified accountant and is one unit away from attaining her CPA qualification. She is a strategic thinker with a ‘big picture’ focus who can question the status quo, generate new ideas and always strives to achieve best practice. Maria volunteers her time and expertise to school and community causes, having young children herself she is passionate to contributing towards improving outcomes for children.